"The modelling work in risk profiling our planned well paths allowed us to target certain wells with the mitigation of WLSO appropriately. A brilliant result overall"
Assess the risks of wireline cable keyseating and differential sticking with a good degree of confidence. Optimise the tool-strings and procedures to control cable thrusts and minimize slot-cutting during the logging operation. Deploy WLSOs using a bespoke plan to cover the sticky zones in the wellbore, without consuming excessive rig time. Enjoy a cost-effective and safe logging operation: no sticking or fishing, no pipe-conveyed logging and no cancelled samples. a) The logging environment (wellbore trajectory & BHA, geology & mud, rock mechanics & pore pressures). b) The wireline conveyance system, and any limitations it may possess (e.g. limited pull on land as opposed to high tension logging systems offshore). c) The client's desire to minimize their operational & financial risks. 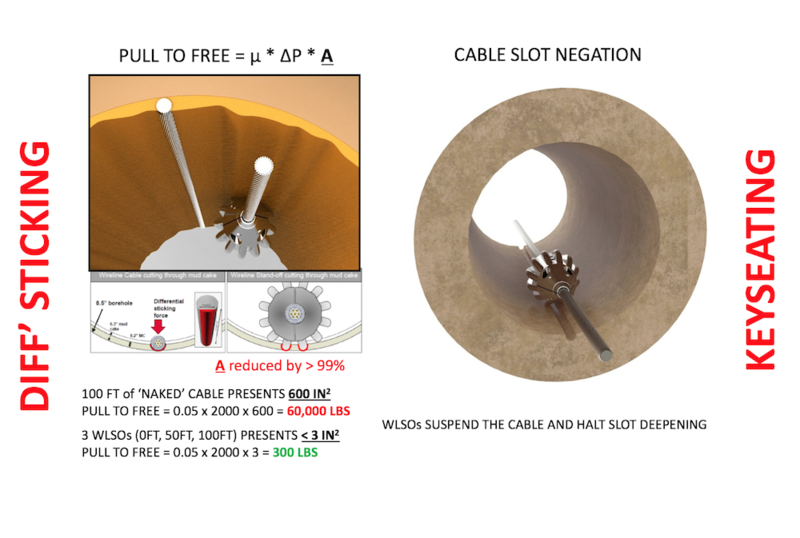 The baseline requirement for cable sticking risk is a tortuous open hole section: a distinct change in hole deviation or azimuth from the Casing Shoe to TD. A deviated but straight open-hole section does not generally create sticking risk unless there is concern over differential sticking over upper (exposed) sands when deep sampling. Wire-Pro is Gaia's proprietary conveyance software, with a special focus on open hole operations and sticking risks (tools and cable). 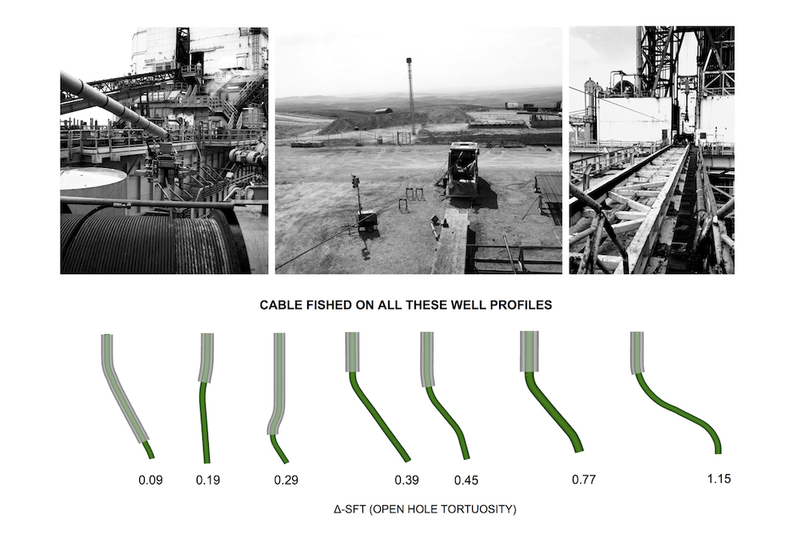 Wire-Pro facilitates the benchmarking of cable sticking risk at the pre-spud stage and also during drilling (with time-depth). Wire-Pro determines whether wireline standoffs (WLSOs) may be required for a run, how many are needed, and where they should be deployed on the cable. It also assesses the degree of sticking linkage between tools and cable, whereby overpulls to free stuck tools may induce cable sticking, due to higher applied thrusts when cycling the line. Wire-Pro identifies risks that other conveyance packages cannot, due to its advanced algorithms that integrate cable forces, pore pressures, and available LAS data. Wireline standoffs (WLSOs) provide a precision mechanical intervention down-hole: dispersing cable thrusts, minimizing cable contact area, and suspending the cable above pre-cut slots. WLSOs are deployed in arrays (typically @ 40-110 feet space-out) to cover specific sticky zones in the wellbore. The WLSO O.D. is selected according to the pipe size and fishing gear on the rig. The installation time is less than 2 minutes per WLSO, including winch driving between WLSO stop-depths. Available in a range of sizes: from 2.15" to 2.95"
WXSO "XRAY" is the world's first cable mounted acquisition package. 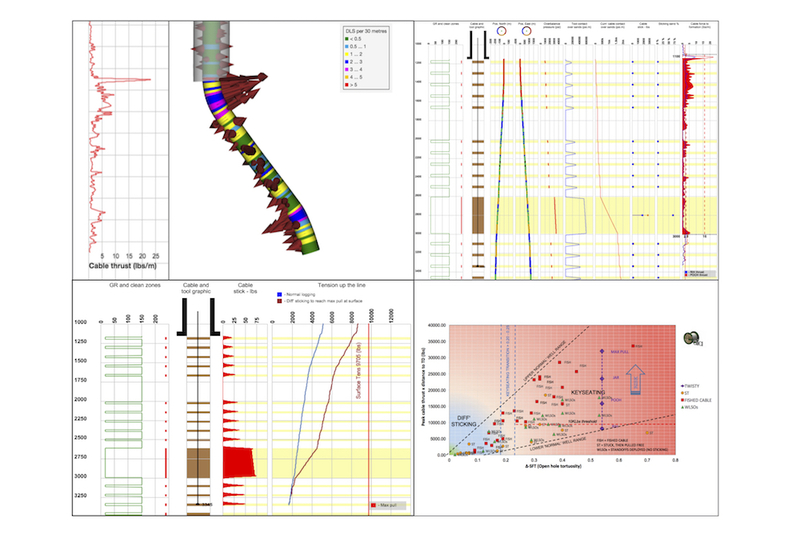 WXSO records high resolution data about the wellbore environment and cable dynamics during a logging run. Gaia Earth Technologies Limited [GETL] is part of Gaia Earth Group. Our goal is to offer practical solutions that reduce operational risk and improve wireline operating efficiency & data quality. A full spectrum of services are offered by GETL: technical & service analysis, modelling & software, design & prototyping. 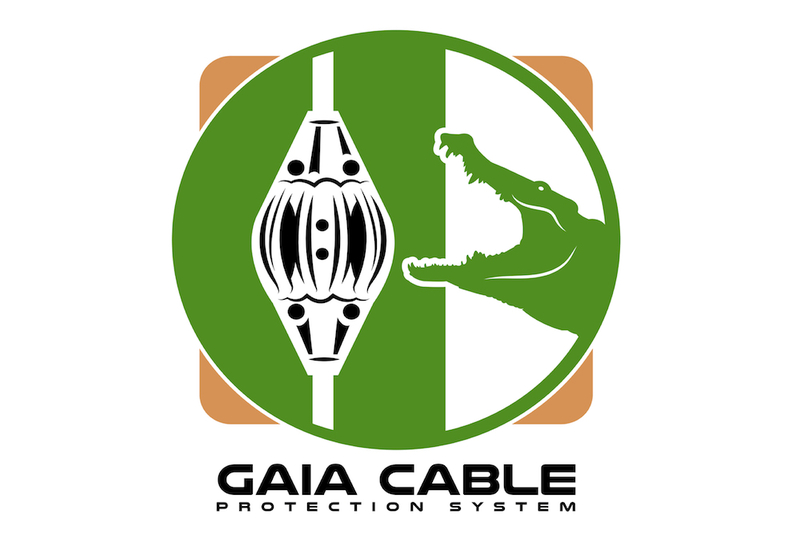 GETL's current focus is GCPS (Gaia Cable Protection System) with a range of other innovative products and services in development. All solutions offered by GETL are derived from first-hand operational experience, gathered over decades at the front line of worldwide logging operations (including Deepwater, remote, HPHT).